How are large Advance Steel models handled? During the modeling of a large structure, the user can experience speed difficulties depending on the complexity of the structure. The work speed can be improved by using a series of commands, hardware configurations and a more coherent workflow. -	Run the purge and audit commands frequently to avoid or fix eventual modeling issues as soon as possible. -	Reduce the size of ACIS Solids within the model (if the model has complex Inventor parts then turn them into basic Shell (Shrink Wrap)). -	Split the model into phases and only display the required phase by using the grouping tools available in the Project Explorer. Right click on the "Groups" button on the "Structure" tab and select "Create New Group". 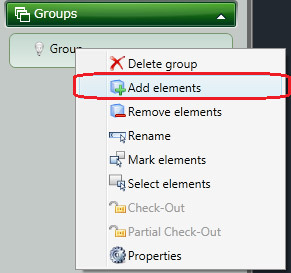 After the group appears in the list, right click on it and select "Add elements" and start adding elements from the model to the group. We can control the group visibility by clicking on the light bulb icon. -	Apply lot/phase marks to the model objects and then display only the necessary phase. - Apply the lot/phase mark on the "Naming" tab in the object Advance Properties dialog box. - Search and mark a certain lot/phase with the "Search filter" command. 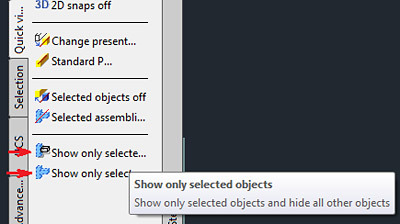 - After the objects are marked, use "Show only selected objects/assemblies" to hide the rest of the model and keep only the selected lot/phase visible. -	Create and use model views to isolate certain areas of the model: along the grid lines, particular joint views etc. 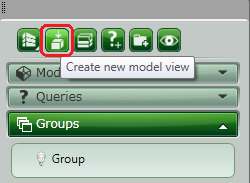 You can create model views by using the "Create new model view options" from the Project Explorer. -	Consider multi user an option even when working individually, and choose to check out only the required part from the full model. -	Split the complete structure into smaller models, and then merge them at the end by copying them from the temporary dwg to the final model.